Added to this is the new term meta table that will be very useful to supplement the description of a tag, for example. It is too early to draw conclusions but Xili-language will continue to take advantage of these new classes, functions and tables. Justin Tadlock has published a comprehensive article for developers. Around 6 years ago, when xili-language was started, to resume only two plugins (WPML, qTranlate) were available with very different data architectures. 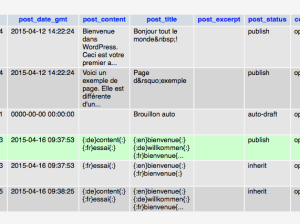 Neither of them respected the architecture of WordPress core since the first added many tables and the second changed the content of posts by compacting the different languages in each field. 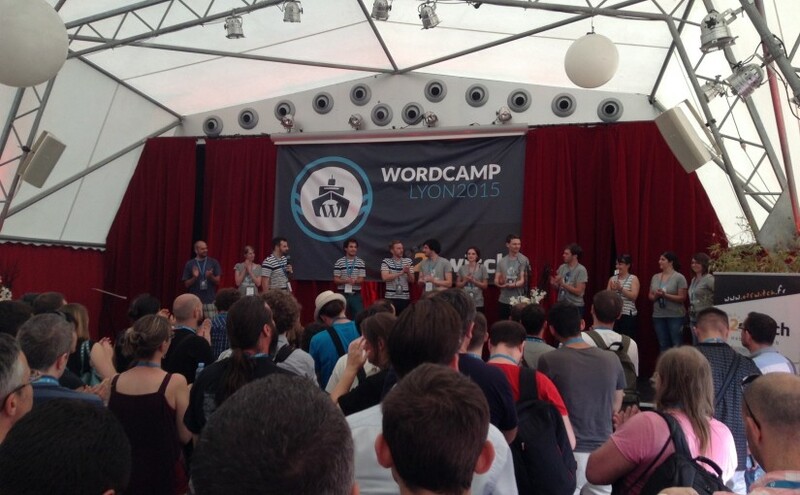 It is true that taxonomies had appeared with WP 2.3. Today, the offer is bloated as the ongoing attempts to show the comparison . Two extensions have recently emerged and their architecture, once installed will compromise more or less seriously the database. 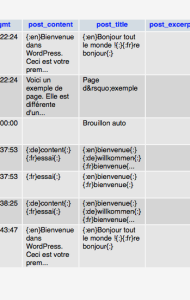 “Multi language” adds tables to put the translations of posts thus without extension, can not be recovered. 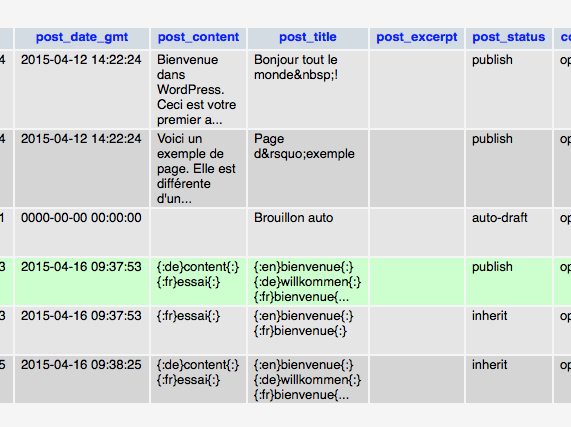 “Babble” does not use taxonomies but the custom post type to store posts according to language. 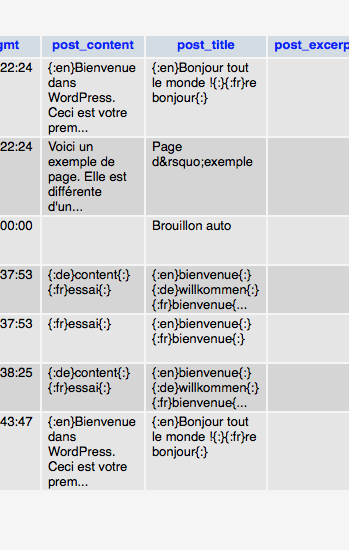 Not easy for queries … to follow because by yet officially in filing plugins (repository). Working with a content management system (CMS) such as WordPress requires some principles, the first is to preserve data integrity before and after adding “tag” that specifies the language (taxonomy) or links to articles in other languages (custom field). This is the basic principle of Xili-language trilogy established since its creation and enduring the version of WP 2.3 to 4.3, which will be out soon. 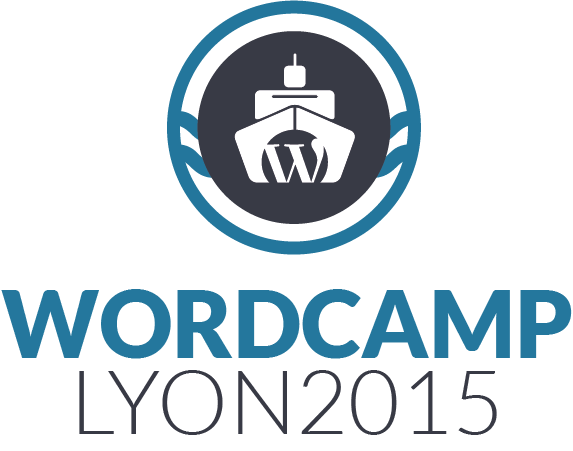 The report of “WordCamp Lyon – Juin 2015 – Quelques notes” is only in french. 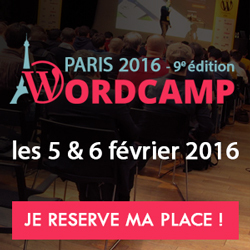 This year, on January 23 and 24th, the seventh time I participate in this meeting on WordPress in Paris. First time was in 2009, after 4 years using WP.